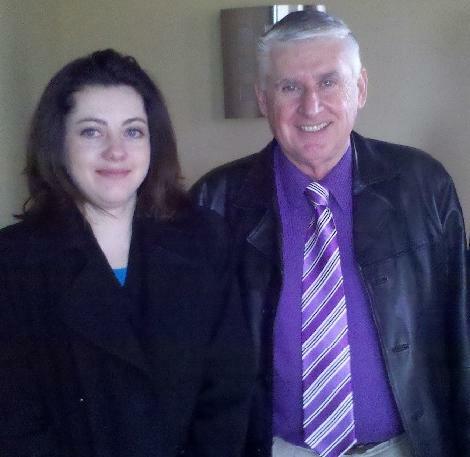 The Eagle Optimist Club had a visit on Tuesday from Larry Blackburn, Lt. Governor, Zone 7. Larry was there at the request of co-president Mike Harris to talk about membership. You see, as a new club, Eagle members wanted some pointers of how to go about asking people to join, how to get more people to meetings and how to stay enthusiastic about being part of an Optimist Club. Dare I say those are questions shared by every Optimist Club? Larry explained that talking about all of the great things that the Optimist Club does and can do is the best way to stay enthusiastic. Discovering what the great things are for your community and your club may be a little harder so you have to be committed to the cause; you have to get involved, take on a task and do your best to make it fun for you and for others. Next, make sure that you love what you do and others will love it too. It's easy to love those things we are involved with and committed to. Finally, but perhaps most important, is to share. Talk about what you are doing, why you are doing it and ask others to join in your fun. After all, it really is rather selfish to keep the goodness of community service all to yourself. Always give others the chance to join in. Be inclusive. 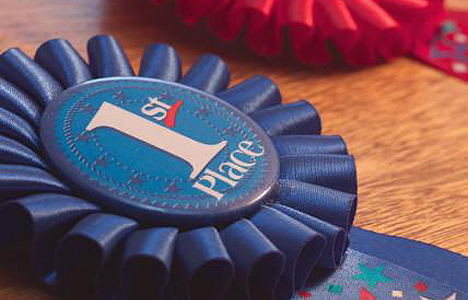 It should come as no surprise to learn that Larry has earned a fun title in his home club, the Caldwell Optimist Club, where he is affectionately known as the Rah Rah Man. I think that title fits nicely with his philosophy for living, "To get more out of life, put more into it." Don't you? A month has passed since group of Optimist International and PNW District leaders met in Seattle for a Targeted Growth Conference. According to Mark Weinsoff, Member, New Community Growth Committee, Optimist International and Immediate Past Vice President, West Region, things are still moving along in Kirkland, Washington. The meeting location has changed to the Metropolitan Market. This is an indication of community knowledge. As the group set out to identify interest, they also had to find a location to meet for informational meetings and chose the community room of a local fire station. The group was fortunate to have that opportunity, but moving to the new Metropolitan Marketplace complex shows they are knowledgeable about new resources in a community and that they continue to reach out to others. Four new members have joined. No, that doesn't sound like a lot, but as anyone who has ever started a new club knows, getting the first names on the dotted line is success. It is buy-in from the community and to be congratulated. A potential key club leader has emerged. This is so critical. We can talk and talk as outsiders, but when a local person takes hold and commits to making it happen, a new energy emerges. Optimist Club members from outside of Washington state continue to visit the area to work with Governor Ed Murphy to bring the new Optimist Club of Kirkland, Washington to life. The next informational meeting is this evening, February 22, 2011, 7:00 p.m. EST, in the Community Room at the Kirkland Metropolitan Marketplace. Find out more in the Kirkland Reporter. What do a cupcake and Optimist International President Danny Rodgers have in common? They are both in this video to wish Optimist International a Happy Birthday. One hundred years ago today, the idea of Optimist Clubs began in Buffalo, New York. That is certainly a cause worth celebrating. Read the story of our organization's optimistic beginning in The Optimist, "2011: The 100th Anniversary of the first Optimist Club" by Dennis Osterwisch, Associate Executive Director, Optimist International. Go ahead! Find your own cupcake and celebrate! While you are making plans for the summer, here's the next event that should be added to your busy Optimist Club member's agenda: The Optimist International Convention. Every year, Optimist Club leaders come together for motivation, inspiration and to help make decisions for how our organization will move forward in the future. If you will be leading your club or district or if you just want to feel the vibe of so many others who make "bringing out the best in kids" a priority, then make your plans now to attend the Optimist International Convention, July 3-5, 2011, Baltimore, Maryland. Mayor Stephanie Rawlings-Blake invites you to visit Baltimore. Find out what makes the city special in the following video. Junior golfers in the US portion of the Pacific Northwest District - Alaska, Idaho, Oregon and Washington - please mark your calendars for June 12. That is the date of the PNW District US Qualifier for the Optimist International Junior Golf Championships to be played at the Meriwether National Golf Club, Hillsboro, OR. More information, including registration details and club pre-qualifiying tournaments will be available soon at https://sites.google.com/site/pnwusoptimistgolf/home. The tournament director is Chris Hill. In British Columbia, junior golfers get off to an earlier start with the Junior Linkster Program and threfore, PNW District Canada Qualifier for the Optimist International Junior Golf Championships, to be held at the Langara Golf Course, Vancouver, BC, is scheduled for April 20 to May 1. Different ages will play on different days. More information will be available soon at https://sites.google.com/site/pnwcanoptimistgolf/tournament-information. The tournament director is Harry White. Please note: The pages above for the Optimist International Junior Golf Championships were created by the Junior Golf Program Department at Optimist International. They are not maintained by the PNW District. The main page for Optimist International Junior Golf is http://www.optimist.org/GolfersMenu.cfm. What activity does your Optimist Club have planned for June? Kids are out of school, families haven't left for vacation yet and the blazing heat of summer is yet to come. Sounds like a good time to take a walk with your friends! June just happens to be Optimist International Childhood Cancer Awareness Month. Why not host an awareness walk in your community? 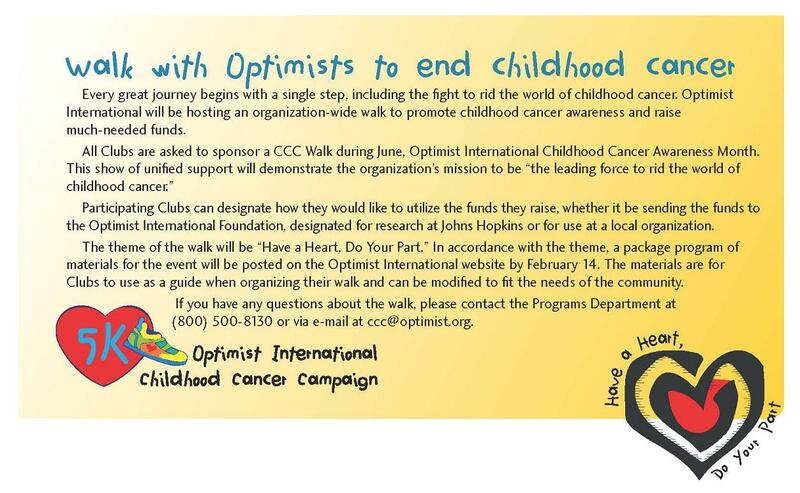 Optimist International is asking Optimist Clubs to coordinate a walk in their own communities to raise awareness of the Optimist International Childhood Cancer Campaign. Please click on the picture to read all about it from the recent Leadership Hotline. This is both an awareness campaign for the cause and for your Optimist Club. Show your community that your Optimist Club has a heart with this new Optimist International program. More details are available from the International Programs Department at ccc@optimist.org or online here. Be sure to give us the date of your walk so we can help spread the word. Thanks! 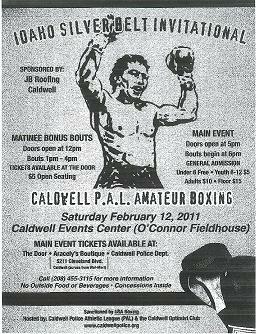 An exciting night of amateur boxing will be held Saturday, February 12 sponsored by the Caldwell Optimist Club starting at 6pm. This annual event features young boxers 6 to 19 years of age and features competitors from throughout Idaho as well as Nevada, Oregon, Washington and Montana. Tickets will be sold at the door and proceeds will benefit various Caldwell Optimist youth projects and Police Athletic League (PAL) boxing. We hope to see you there! Visit www.caldwellpolice.org for more information. The Silver Belt Invitational is a USA Boxing sanctioned event with 20 bouts in the evening. Due to the popularity of the exhibition, there will also be matinée bonus bouts from 1:00 to 4:00 p.m.
Boxers from throughout Idaho, and nearby states including Nevada, Oregon, Washington and Montana are scheduled to participate. Entry fees range from $5 in the afternoon and for youths to $15 (floor seating) in the evening. 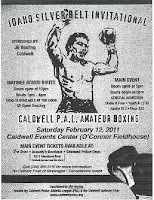 All money raised goes towards youth activities in the Caldwell area with a special emphasis on the PAL Boxing program. This impressive program has been serving the community for over twenty years and by helping children make positive choices. Read more about the program here: Boxing program helps keep youths out of trouble. Please contact the Caldwell Optimist Club to purchase a ticket today. They are also accepting volunteers for the day of the event to help with set-up and tear-down of the boxing ring and to help with concessions. Contact 208.455.3115 to learn more.